Christine Sterling has developed a reputation for jumping to wild conclusions. With such an imagination, who is likely to take her seriously when she discovers a bruised and neglected neighbor named Lila Payne? Try as she might, she cannot interest anyone in Lila's dire need for immediate rescue. Something about crying wolf once too often. But then Lila and Christine's beloved dog Molly both disappear the same night. If no one will help her, she must find Lila and Molly herself. Heedless of possible consequences, Christine dives headfirst into a dark pool swirling with muddy secrets and misery. Her best friend throws her a lifesaver of prayer and soon she begins to sense God at work. But even with God's help, can Lila and Molly be saved before it's too late? Catherine Leggitt is the author of the cozy mystery novels, "Payne & Misery," The "Dunn Deal,"and "Parrish the Thought." She is also an inspirational speaker presently residing in northern California. During her first career--after raising children and before caring for her aging parents--Catherine worked as an elementary school teacher, where she developed her flair for playacting and storytelling. Struggling with retirement, Catherine needed a distraction. She found it at her keyboard. In addition to writing and speaking, Catherine is the mother of three brilliant children who have collectively produced six incredible grandchildren. An avid Bible student, she sings in the church choir. Catherine is passionate about reading. "Payne & Misery," a Christine Sterling Mystery, won second place at the Orange County Christian Writer's Conference in 2010. "Parrish the Thought" made the quarter finals in the 2011 Amazon Breakthrough Novel Contest before Ellechor published the the trilogy starting in 2011. The remaining books, "The Dunn Deal" and "Parrish the Thought," were published in 2012. I have always loved words. Mom and Dad read to us as children and encouraged me to write stories. I began a romantic tragedy after the break-up of my first romance at the world-wise age of 12. Barricaded in my room, I poured out four chapters of mush. It’s incredibly over-the-top to wade through, but at the time it was of immense assistance in healing my broken heart. Over my grow-up years, I wrote stories for my children and grandchildren, but it wasn’t until my husband retired and moved me far from family and friends that I began to write in earnest. Again, writing lifted me from a funk, this time a menopausal brain fog. I needed a distraction and found it at the keyboard. What are you hoping readers take from your book? In PAYNE & MISERY, Christine Sterling discovers the saying, “Pain is inevitable but misery is a choice.” She relinquishes her obsession with self, complaining and grumbling, and seeks joy instead. Reading about her struggle and eventual victory over complaining, it is my fervent hope that readers will begin to listen to how they talk. Does what they say come from a thankful heart? In being thankful, regardless of our circumstances, we experience the power of a joyful sprit. If you were to write a book about a controversial topic, what would it be? In the third Christine Sterling Mystery, I tackled the subject of prejudice. Christians are called to love people, all people, as God does. Yet when faced with people different from ourselves, our attitudes may be less than loving. Christine finds it difficult to love people who live on the fringes of society--homeless people, or Goth teens, for example. Christians are commanded to accept all people with hearts overflowing with the love of Jesus who died for each person on earth. In this book, I also explore how Christians traditionally interact with homosexuals. I might someday take a look at how the modern insistence on tolerance above all divides our society. Are you an avid or occasional reader? If so, what is your favorite genre of books? Occasionally, I am an avid reader. I will read four or five books in a short period of time, usually during the summer months. Whenever a new book by one of my favorite authors comes out, I nearly inhale it. My favorite genre by far is mystery, although I will read a book such as “Redeeming Love” by Francine Rivers or “Where the River Ends” by Charles Martin just because of the incredible story. If you could interview one of your favorite authors, who would it be? Why? 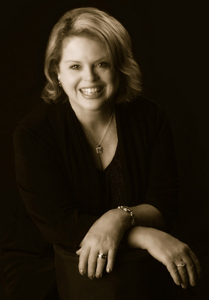 I’d love to sit and chat with Marcia Muller, author of the Sharon McCone Mystery series. Muller has created a tight cast of characters who continue to delight even into the twenty-ninth book. I would love to hear how she plots the stories and where she comes up with fresh ideas. If you could make a movie out of one of your books, which one would it be? As a matter of fact, I fantasize about PAYNE & MISERY as a movie. Or maybe the third in the series, PARRISH THE THOUGHT. I picture Tom Selleck in the role of Jesse Sterling and Sally Field as Christine. Don’t know where they would ever find a dog as wonderful as Molly to play the dog part, though. Which marketing/promotions or publicity strategy has worked best in your favor? Next to that, blog tours seem to be good promotions, as well as giveaways and social networking. I am currently doing a blog tour with Pump up Your Book. I keep pretty active on Twitter, Facebook, Goodreads and Pinterest. Writers’ Conferences have also proved effective for networking as well as being fabulous learning experiences. Which do you like better traditional or self-publishing? Why? The complexion of publishing has changed so much in the dozen years since I started writing. I know many writers who have great success with ebooks and self-publishing. Traditional publishers have less and less budget for marketing and promotion, which means that authors must take up the slack. The two main differences between traditional and self-pub seem to be that traditional has the ability to place your book in brick-and-mortar stores, thereby giving you the possibility of greater exposure sooner. They may also include an advance to kick-start your contract. Self-publishing does not promise either. All marketing and promotion is up to the author. This is my least favorite part of writing. 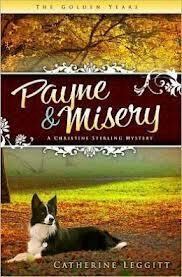 Besides, PAYNE & MISERY, there are 2 other books in the Christine Sterling Mystery series published by Ellechor Press. They are THE DUNN DEAL and PARRISH THE THOUGHT. I recently signed a contract with Nail Prints Press for my fifth book, DYING TO BE NOTICED, a romantic suspense novel featuring an obituary writer. This story is a departure from the Christine Sterling Mysteries featuring a new set of characters and a different setting. DYING TO BE NOTICED made the first cut in the 2013 Amazon Breakthrough Novel Contest. It also received a Certificate of Merit in the 2013 Deep River Book Writers Contest. I am thrilled to be working with Nail Prints Press. The book is due out June 1st. I am currently writing a sixth novel, THE ROAD TO TERMINUS, about a 1955 road trip along historic Route 66. Both the ideas for Dying and The Road came to me in dreams.